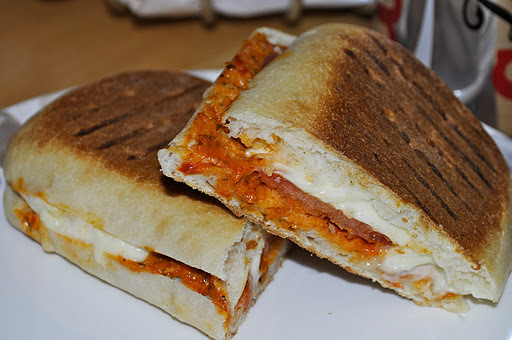 Another quick lunch recipe from me today: Pannini with Sun-dried tomato pesto, tomato and Mozzarella. Quick, easy and oh, so tasty! 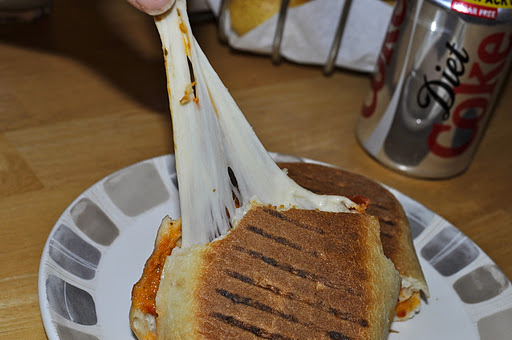 I make mine in my sandwich press (one with flat plates) for a few minutes until golden and the cheese has melted. 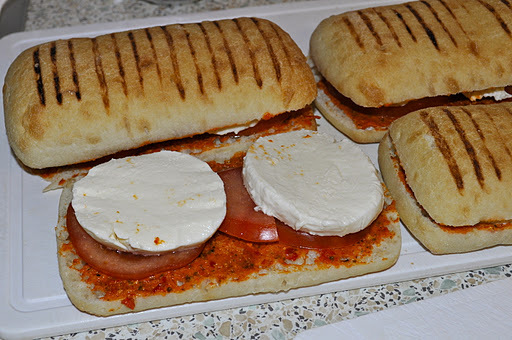 You’ll find that the mozzarella cheese goes a little bit chewy, so be careful when you bite into it.